I was embarrassed, hurt, and a slight bit angered when a parishioner told me one Sunday after worship, “Pastor, your sermon today was like spiritual baby food! My hunger was not satisfied.” After asking what he meant, I learned that he thought my sermon was biblically shallow; only an “appetizer” which left him waiting for a full course meal that wasn’t served. Sometimes I feel the same way about some devotional books that I read in the mornings. They are so short and shallow that they provide only a spiritual snack to start my day. Such devotional books meet an important need for those who want to spend time with the Lord each day but want to do it quickly! However, there are others of us who hunger for something more. I long for something deeper and richer; something that will lead me further into the depths of God’s Word; not the cognitive stimulation of biblical commentaries which explore the meaning of Hebrew and Greek words because I get plenty of that during my week of preparing bible studies and sermons. It’s a hunger for reflecting on texts and allowing God to speak to me through His Word. When I began reading Our Beloved, Our Friend by Judy Huitt, I felt a genuine sense of satisfaction. As I worked through its pages I was being spiritually fed. It was wonderful; more than a spiritual snack, the book presents a smorgasbord of spiritual delight! Following the biblical recipe of forty – 40 days & nights of rain on Noah’s Ark, God’s leading the Hebrews for 40 years in the Arabian Desert, Jesus’ 40 days in the wilderness temptation, the 40 days between Christ’s resurrection and ascension, etc. – Judy Huitt has written forty meditations that lead the reader into encounters with our Beloved Savior! With stories of honest self-disclosure, she captures the reader’s attention and then leads us gently to the Lord Whom she longs for us to know more intimately. > and to teach Sunday School or other small groups with little or no preparation. There is no end to the blessings you will enjoy through these forty wonderful meditations. Now much in the same way that I sit back in my chair after a deliciously satisfying meal and say “Ahhh that was so good!” I become excited again as dessert is offered and say, “Wow! You say there’s more?” The same is true with Our Beloved, Our Friend. 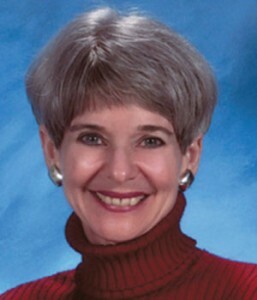 After finishing the forty meditations, Judy has provided an Appendix that is packed full of helpful techniques and methods for one’s prayer and devotional life. Some are ancient methods of prayer such as Lectio Divina and Centering Prayer. Others are helpful acrostics and acronyms like the ACTS Prayer and the PRAISE Prayer. She includes sections about memorization of scripture and discerning God’s will as well as helpful ways to share God’s love with those special persons we encounter each day. If you haven’t already come to this conclusion, I want you to know that I think Our Beloved, Our Friend is a wonderful tool for one’s spiritual growth! 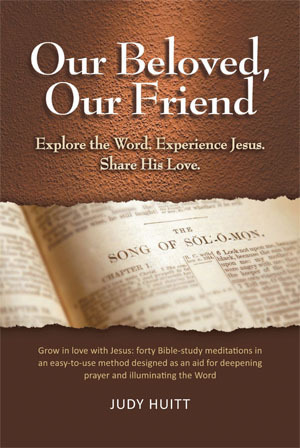 As I worked through its chapters, I discovered my beloved friend, Jesus speaking to me in every meditation. It wasn’t just spiritual baby food either. It was the rich and flavorful Bread of Life Himself feeding my soul; calling me into a deeper, more intimate relationship with Him. For the price of a good dinner, you too can feast on the delicacies of the Bread of Life! I encourage you to read through Our Beloved, Our Friend and expect to be satisfyingly fed by the Spirit of the Living God! !